The size variations in the extra long suits for men are quite different from the regular suit sizes. But you can find the same fit options like slim fit suits; regular fit suits, modern fit suits in all men's big and tall sizes. If you are looking for extra long suits for men in different big and tall sizes, you can find the 48 xl suit, the 46 long size suit, 50 long suit, 46 xl suit, 42 extra long men's suits, 46 extra long men's suits, 44 xl suits, 42 extra long suits, and many other size options. Hence big and tall men need not worry about small size differences as there are minor to major differing size options available in men's extra long suits. The same is the case with men's extra long sport coats and blazers. You will find extra long sport coats for men in different big and tall sizes like 48 extra long sport coat, 50 extra long sport coats and so on. Blazers for men are also available in extra long sizes. Extra long suit jackets, extra long men's blazers, sport coats in extra long sizes have become common in men's size charts. Mensusa is an online store that specializes in men's clothing. Hence at Mensusa, you will find all that you are looking for. Men with small sizes can go for slim fit suits, Italian fit suits, boy's suits and so on. On the other hand you will find amazing collection for big and tall sizes as well. 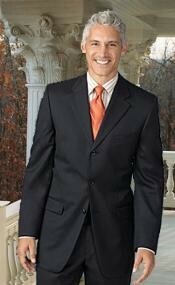 Big and tall men often find limited number of options for their extra long suits. 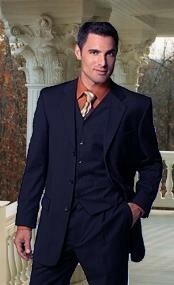 But with Mensusa, we bring to you the finest designer made extra long suits in all types of patterns like plaid suits, seersucker suits, single breasted suits, double breasted suits, Zoot suits and so on. You can also shop for extra long blazers, extra long suit jackets, extra long sport coats and extra long wedding suits. Extra long suits are just by the name extra long, but they fit tall men perfectly as it should for a suit. Browse this category to shop for extra long men's suits, in different styles and patterns, multiple colors and different size options in extra long sizes.